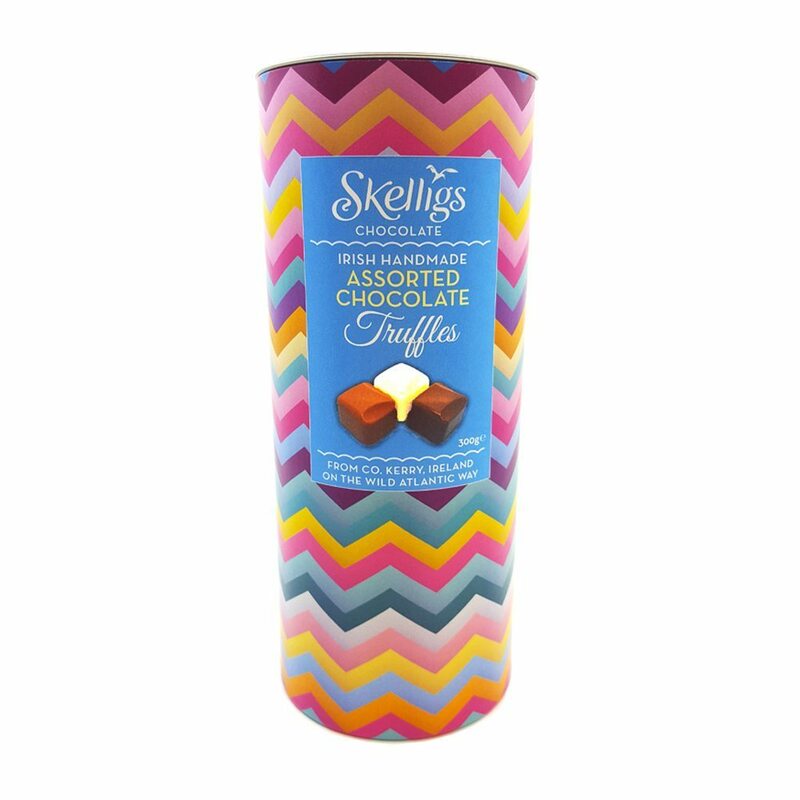 New to the Skelligs Chocolate range, our assorted Chocolate Truffles are the perfect gift this Christmas!! 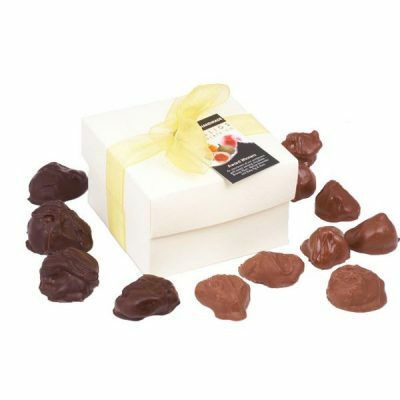 With 300g of your favourite truffles there is something for everyone. Hazelnut Praline, Vanilla Ganache, Strawberry & Champagne, Irish Whiskey Crème and Citrus. Each Tube has 300g of truffles. Milk chocolate 20% [Sugar 42%, Whole milk powder 22.5%, Cocoa mass 11.5%, Emulsifier: Soya lecithin, Natural vanilla flavouring]Dark chocolate compound 75%, [Vegetable fat (coconut, palm kernel) 48%, Sugar 30%, Fat-reduced cocoa powder 11%, Whey powder 10%, Emulsifier: soya lecithin, Natural vanilla flavouring], Strawberry preserve, Champagne. Hazelnut Paste [Hazelnuts 49.5%], Natural vanilla flavouring, Crème, Irish Whiskey, White chocolate compound 63% [Vegetable fat (Palm, Rapeseed) 40%, Sugar 35.5%, Skimmed milk powder 13%, Milk sugar 10.5% Emulsifier: Soya lecithin], White Chocolate 26% [Sugar 46.5%, Cocoa butter 29.5%, Whole milk powder 23.5%, Emulsifier: soya lecithin, Natural vanilla flavouring] Lime zest, Lemon zest, lime oil, lemon oil. Min cocoa solids: Milk 33%, Dark 54%, White 28%. 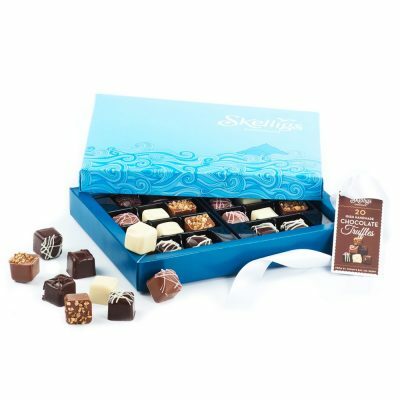 All our chocolates are made in one environment, so may contain nut & wheat traces. Allergen Information: See ingredients underlined and bold. For best enjoyment: Please keep in a cool, dry, odour free place.